The quickest way to spoil a workout is getting to the gym and realizing you forgot something important. We’ve probably all forgotten a t-shirt or our gym shoes at some point, but what are some other items worth having with you for your next workout? 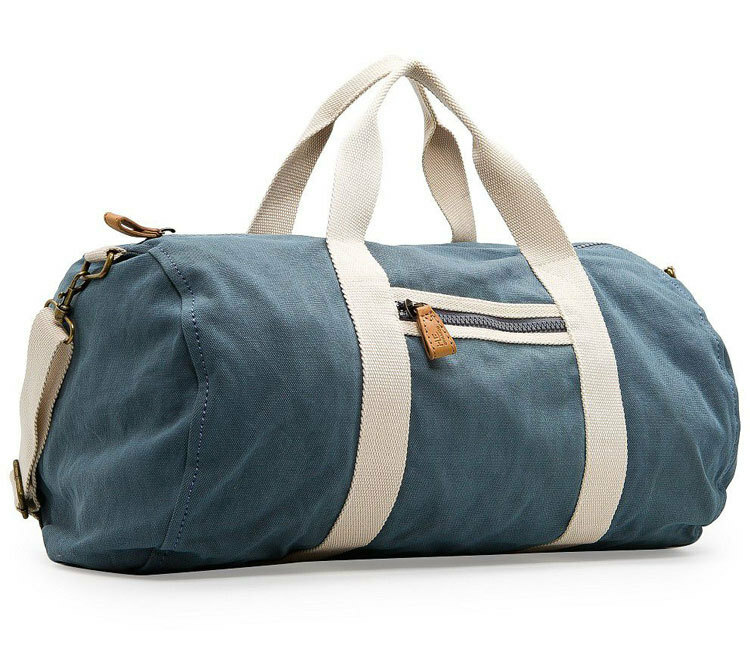 After many years of gym-going, here is a list of seven things that you should always have in your gym bag. 1) Exercise Journal. No matter how great technology is, sometimes it’s nice to just have a notebook where you can write down your workouts and track your progress. Taking a look back to see what you’ve accomplished while progressing and planning for future goals is the foundation for seeing continuous results. 2) Workout Gloves. We don’t recommend wearing gloves all the time, but some exercises are much more enjoyable with a bit of padding and added grip for your hands. Wearing gloves for heavy lifts may actually increase your output. 3) Lacrosse Ball. This dense ball is not just for playing lacrosse. It’s the perfect density and size for isolated self-myofascial release, which is basically massaging out knots or adhesions in your muscles. If you’re going into a workout and something feels tight, lie on the floor on top of the lacrosse ball and let it sink into the tight muscle. After a few minutes the muscle should relax and allow better range of motion while hopefully alleviated pain and tension. 4) Water Bottle. Okay, this should be no surprise, but we had to mention it. Having a water bottle next to you at all times ensures that you’ll drink more water. A good quality water bottle makes drinking water more of a habit while making it more enjoyable. 5) Music Source and Earbuds. Music has an extremely powerful effect on your mood, which in turn affects your workout. If you’re constantly complaining about the music played at the gym, bring your own music with you. Personalize your list to get the most out of your workout. And remember, it’s worth having an extra pair of earbuds in your gym bag just in case. 6) Personal Items. Some basic things to keep spares of are hair ties, sweat bands or bandanna, a spare towel, and of course – deodorant. We’ve all had days where our deodorant has worn out before the end of the day or we forgot to apply it altogether. Re-apply as needed so you and the other gym members can stay focused on the workout. So keep your gym bag well stocked to get the most out of your workouts! It’s probably safe to say that most of you realize the importance of managing calories. Eat too many calories and you’ll gain weight; restrict your calories and you’ll lose weight. Although this is technically true, we put much more emphasis on the types of calories verses the amount of calories when we teach our clients about healthful nutrition – and so should you. Our mentality is that our bodies run by burning nutrients, not just calories. Nutrients are substances your body absorbs from the foods you eat to create energy. You could eat 1200 empty calories and probably get through your day, but that doesn’t mean your body is getting the nutrients it needs to thrive, such as a balance of protein, fat, carbohydrates, and many vitamins and minerals. The list of nutrients you get from whole foods is almost endless in comparison to what you get in processed foods. For instance, two eggs and a banana have a better nutritional value than a typical bowl of cereal, even though they may have similar caloric values. To maximize your nutrient intake while still keeping your calories in check, we recommend the following tips. Choose foods that don’t have ingredient lists. That is, choose natural foods that haven’t been altered, like organic fruits, vegetables, nuts, and meat. These foods don’t have extensive labeling, because what you see is what you get. Severely limit your intake of processed foods. These are the foods that have the long ingredient lists. Read carefully, and if you’re unfamiliar with any of the ingredients, find a different product. How can you take control of your health if you’re not even sure what you’re eating? Eat a colorful diet. Pick foods that span the rainbow of colors to ensure a multitude of nutrients. The phytonutrients in fruits and vegetables such as sweet potatoes, blueberries, spinach, squash, and pomegranate diversify your nutrient uptake while still managing excess calories. Eat fresh and in season. These types of foods have a greater nutrient density in comparison to frozen or canned foods and by changing your diet with the seasons, you also ensure variety. Don’t miss out on fresh corn on the cob or a ripe watermelon bursting with flavor this time of year. Expand your cooking skills. What better way to confirm what you’re actually eating than by preparing it yourself. This allows you to incorporate more nutritious ingredients while avoiding unnecessary additives like sodium, trans fats, and artificial sweeteners. Cooking takes time, but it’s time well spent. If you become more proficient at cooking, you won’t have to rely on less than ideal options such as fast food or even skipping meals. So take these ideas and learn how to incorporate them into your lifestyle. No matter if you’re looking for a fresh start or you just want to build on your current nutritional foundation, these tips will help to keep your health and weight in check. Summer is here and cookouts are a common theme. 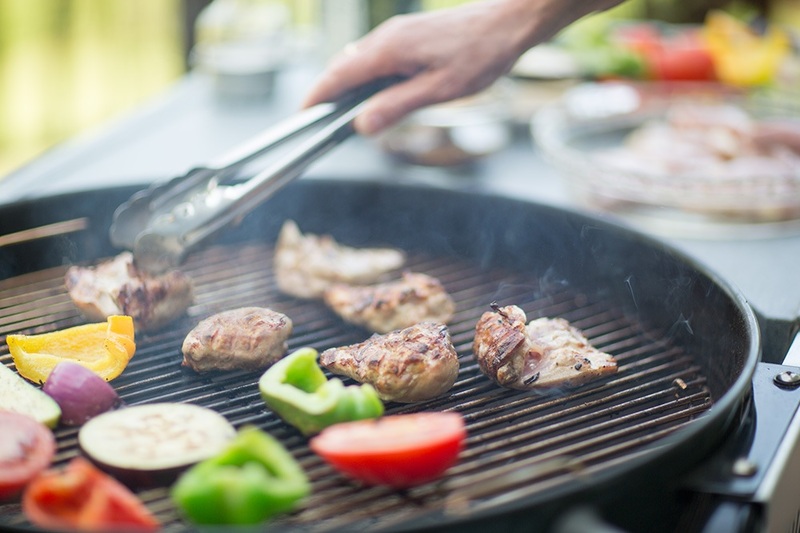 Grilling can be healthy and tasty if you know which foods to choose and how to prepare them. The following tips will turn your next cookout into a healthy gathering that you can be proud to be a part of. Practice portion control. Don’t let taste be the judge of how much food you eat. A serving of meat is about the size of the palm of your hand. A serving of fruits or vegetables is about the size of your fist, and anything else should be added to your plate in moderation. 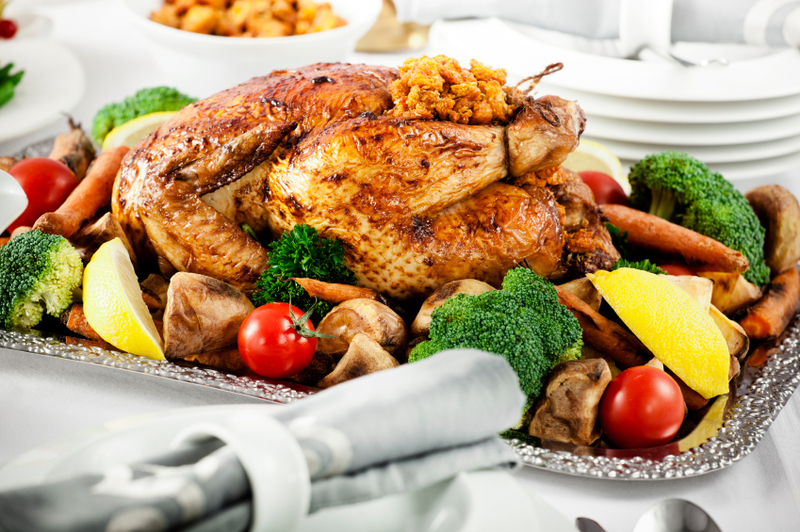 Grill with quality cuts of meat such as fish, chicken, beef, and pork. Stay away from hot dogs and processed meat patties. Fresh meats taste better and also contain less sodium. To get great flavor, learn how to prep your meats and vegetables. Marinades consisting of lemon juice and vinegar can really pull out great flavors from poultry or fish. Stick with dry rubs rather than sauces or syrups when preparing beef and pork. A good steak needs nothing more than some sea salt, pepper, and garlic to maximize flavor. Use fresh organic fruits and vegetables to garnish burgers and tacos. Tomatoes, peppers, onions, romaine, olives, mushrooms, pineapple, and avocado add great flavor so there’s no need to drown out your food with ketchup or mayo. When making tacos, use gluten free tortillas or soft corn tortillas. Avoid the hard shells that are deep fried in oils. Or better yet, make a taco salad. Lose the buns. Many grilled foods don’t need to be sandwiched between two pieces of bread. Kabobs, steaks, fish, and chicken taste great with a side of grilled vegetables such as zucchini, peppers, or mushrooms, and a side of fresh fruit. Be aware of excess liquid calories. Serve iced tea or water with lemon wedges instead of sodas or fruit drinks. If drinking alcohol, set a limit for yourself and drink plenty of water to avoid becoming dehydrated. If having dessert, keep it simple. Avoid empty calorie sweets such as cookies, cake, or brownies, and stick to a fresh fruit salad with a dab of whipped cream or vanilla ice cream. Plan to have activities such as volleyball or softball to keep everyone active and less likely to sit around and graze on leftover food. Don’t be afraid to try new recipes. Hot dogs, baked beans, and coleslaw might be a traditional favorite, but mix it up. Break out of the norm and try something new! So if you’re planning the next great cookout, give these tips a try. You can entertain and still feel good about setting a healthy example for your family and friends. Cardiovascular exercise is certainly an important component of a well-rounded fitness routine. Just like any other type of exercise, it’s important to add variety to your cardio routine to maximize progress and overall results. A great way to energize your cardio routine is to practice HIIT (high intensity interval training). With HIIT, you are focusing on short bursts of intense exercise versus a long drawn-out exercise session. HIIT can be used with any type of activity, including running, biking, elliptical, swimming, rowing, boxing, and even certain types of strength training. It simply requires a short all-out effort followed by an adequate recovery period. Your heart rate will climb and peak during the work phase and slowly drop and stabilize during the recovery phase. 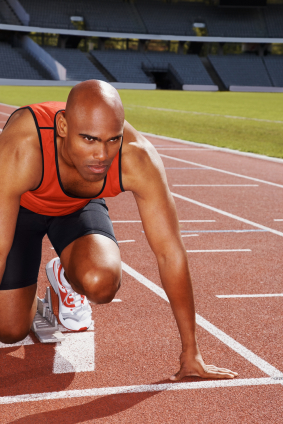 Below are 5 reasons you should add HIIT to your current fitness routine. Train smarter. HIIT training elicits a similar hormonal response to strength training and therefore has a lasting effect on the body. Rather than just burning a certain number of calories during your exercise session, the high intensity stokes your metabolism for several hours after your workout is over. During this post-workout period, there is an increased fat and caloric burn. So you get the effect of the actual workout, as well as the bonus of extended fat burn for several hours after. Preserve muscle. Extended steady state cardio can increase stress hormones and cause the body to become catabolic and actually break down precious muscle mass. Less muscle equals a slower metabolism and less daily caloric burn. HIIT training, on the other hand, increases natural human growth hormone which supports muscle mass and overall well-being. No fancy equipment needed. Don’t worry if you don’t have a gym membership. HIIT training can be done anywhere and with limited or absolutely no equipment. Get outside and sprint for one block and walk for the next. Or, if you have access to a hill or incline grade, run up the hill at your fastest pace and then walk back down. Repeat as many times as you prefer. Save time. A typical HIIT workout may last anywhere between 10 and 30 minutes depending on the intensity you put into it. 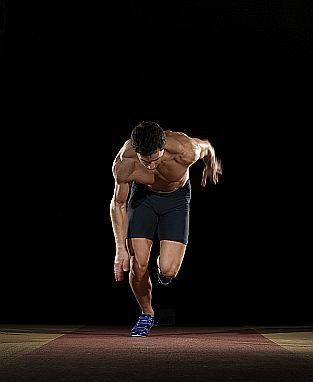 If you have access to a track or a treadmill try running 100 meters as fast as you can and then jog or walk 300 meters. Repeat this for a total of 6 rounds and you’re done. You will have covered 1.5 miles, your heart rate will have gone through a variety of intensities, and you’ll be done with your workout in 30 minutes or less. Improve fitness and performance. Pushing yourself up into your anaerobic zone with HIIT will have measureable benefits in cardiac output and therefore allow you to do more during your strength training and other cardio workouts. Many athletes, including marathon runners and triathletes, incorporate HIIT into their training routines to improve performance and cut down on the wear and tear of long distance training. So keep things fun and exciting by adding HIIT to your weekly routine to elicit new results and improve overall performance. Changing up your workout routine is great for progressing the body as well as keeping your head in the game. Boring workouts get boring results. 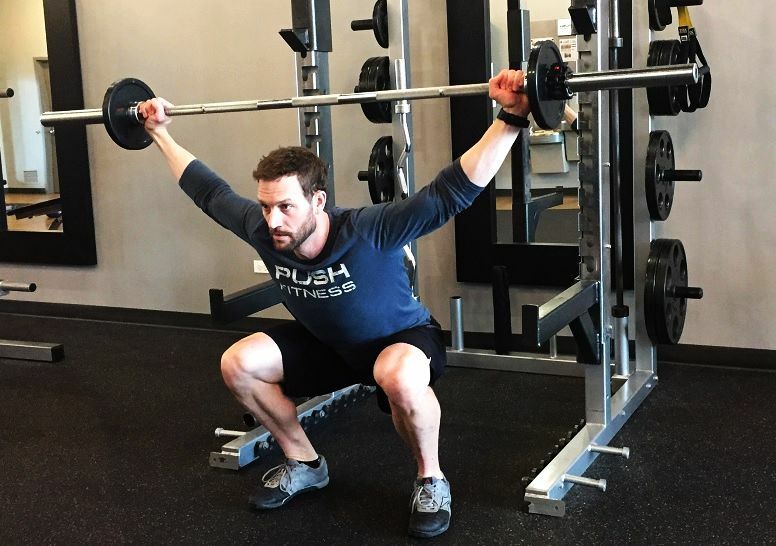 We’ve taken three common exercises and modified them to make them more challenging and more interesting – the squat, the lunge, and the pushup. The Overhead Squat. Begin with feet shoulder width apart while holding a barbell overhead. To stabilize the bar in the overhead position, you must extend the arms while engaging the muscles of the upper back and shoulders. Once the bar is stabilized overhead, you can move into the squatting portion. Slowly squat down as you inhale, ensuring that your heels stay heavy, while pushing your hips back and maintaining the natural curve in your low back. Drop down to a comfortable and stable depth. Exhale as you stand back to the top, but don’t lock your knees all the way out. Repeat. With the bar overhead, it becomes a total-body exercise and requires much more balance, stability, and flexibility than a typical squat. Common Mistakes: Never let your knees travel forward of your toes and don’t allow your elbows to bend. Regression: If a weighted overhead squat is too challenging, grab a lightweight bar or stick and perform the same motion without the load. 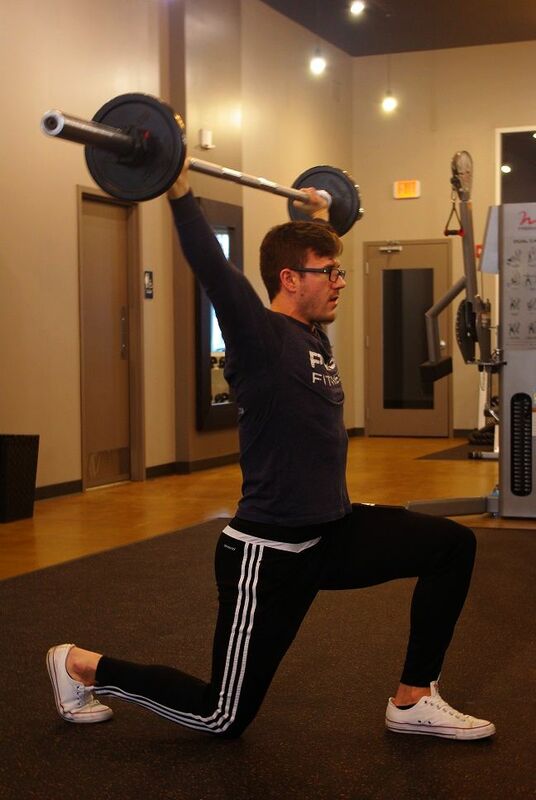 The Lateral Lunge. Place feet wider than shoulder width and turn feet outward at a slight angle. With a dumbbell resting on each shoulder, shift your weight laterally and sit back on the heel of your bent leg while you allow your other leg to straighten. At this point, your bent leg should have a 90 degree bend as your opposite leg should be fully extended. Return to your starting position and repeat on the other leg. This lateral movement adds a new dynamic that will stress muscles differently than a traditional lunge. Common Mistakes: Never let either heel pop off the floor – you must push your hips back and keep your posture upright. 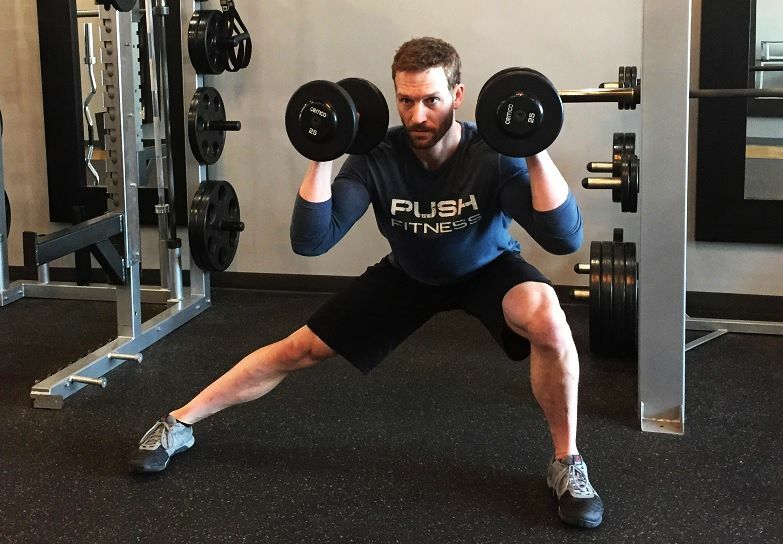 Regression: If your flexibility doesn’t allow you to drop into the lateral lunge, hold on to a stationary object so you can support yourself as you push your hips down and back until you can perform the lunge with the desired range of motion. The Hand Release Pushup. Take a traditional pushup position with hands shoulder width apart, feet together, and maintain a straight line from shoulder to ankle. Slowly drop down into the pushup until you feel your chest touch the floor. At this point, raise your hands off the floor so your weight is resting on your chest and torso. Push your hands hard into the floor as you return to the top of the pushup. Repeat. The hand release pushup requires strength and control throughout the pushup’s entire range of motion. Common Mistakes: Don’t let your hips sag as you drop to the floor or push back up to the top position. Keeping your core engaged will help you maintain a rigid and safe posture. 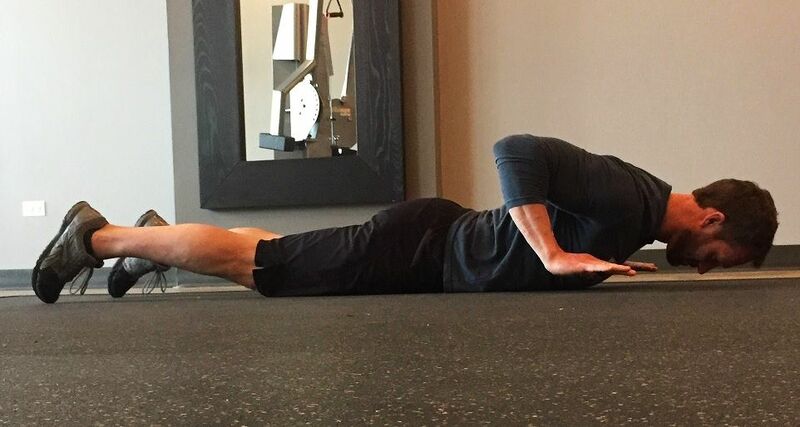 Regression: If you can’t maintain proper form with the traditional hand release pushup, modify so your knees are resting on the floor rather than your toes. This position takes more weight off the upper body and also lessons the strain on the core. It should allow you to move through the entire range of motion while maintaining safe and effective form. So switch up a few common exercises and take on the new challenge. Often overlooked, yet an important component of nutrition, herbs and spices pack a big punch from a small package. They’re generally used to flavor food, but herbs and spices have many health benefits in addition to being taste enhancers. Herbs and spices have been used for centuries as medicine to treat or alleviate symptoms of disease, so don’t underestimate their potency. Many have either anti-inflammatory, anti-carcinogenic, anti-microbial, anti-fungal, anti-bacterial, or antioxidant effects when consumed. This makes them ideal for helping to fight the signs of aging, cell deformities, infections, and even the common cold. 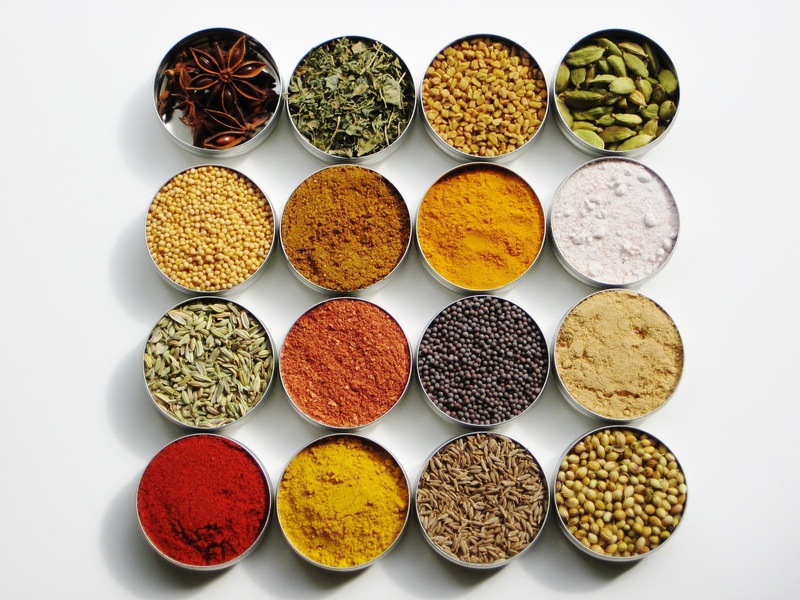 The following 5 herbs/spices are fairly common and easy to incorporate into a healthy diet. Turmeric. This orange colored root contains curcumin, a substance shown to have anti-inflammatory and anti-carcinogenic effects. It has been used to help treat inflammatory diseases such as arthritis, allergies, and asthma. Studies have shown that it’s also a strong antioxidant in the fight against free radical damage and the destruction of healthy cells. Add a pinch of turmeric to your scrambled eggs or sprinkle it on a salad for a peppery kick. Cinnamon. The benefits of cinnamon go far beyond its wonderful smell. Cinnamon has been shown to help regulate natural blood sugar levels and assist in the reduction of LDL cholesterol levels. Research has also shown that it can help reduce chronic inflammation of the nervous system which could help to alleviate symptoms of multiple schlerosis, altzheimers, and Parkinson’s disease. A dash of cinnamon tastes great in your morning coffee or added to a protein shake. Ginger. This root is great in assisting proper digestion and boosting the immune system. Ginger can improve the absorption of nutrients by stimulating the pancreas to secrete key enzymes. It’s also effective in alleviating an upset stomach. Ginger has been used as a natural treatment for colds and flu and to break up mucous in the lungs. Slice a piece of ginger root and add it to your tea while it’s brewing for a tangy kick. Or add a piece of ginger root to your smoothie and blend well. Rosemary. As a natural anti-inflammatory, rosemary may help with migraines, arthritis, and gout. It is also an immune booster and can aid in digestion. In addition, it contains the phytochemical carnosol, which studies show is a strong anti-carcinogenic compound that targets pathways associated with inflammation and cancer. Sprinkle some rosemary into your favorite potato dish or add fresh minced rosemary to a homemade marinade for chicken or salmon. Sage. Sage is anti-fungal, anti-microbial, and anti-bacterial, so it can be used as an antiseptic to alleviate symptoms associated with sore throat, mouth sores, or cough. Sage has also been used to sharpen the mind and studies show it can even combat memory loss. Add a few fresh leaves to water and brew into a tea or sprinkle dried leaves into a stir fry dish. So be sure to add more herbs and spices to your diet to support your health while making your food anything but boring. Coming down with the flu or a cold is pretty common this time of year. Wouldn’t it be great to have the upper hand on seasonal illnesses? Although you might not be able to totally avoid getting sick, maintaining a resilient immune system may lessen the severity, duration, and frequency of illness. Cut out offensive foods. Inflammation is a natural response to getting sick or injured. Your immune system sends inflammatory cells to the region they’re needed to attack and repair the compromised area. But, if you’re eating foods you’re intolerant to, your immune system may go on the attack every time you consume these foods. Besides causing added stress in the body, your immune system stays compromised for longer periods of time which decreases the effectiveness of daily maintenance. Add more nutrients. Micronutrients such as magnesium, vitamin C, and vitamin D all have immunity boosting powers. Foods such as ginger, bee pollen, and many fruits and vegetables are loaded with vitamins, minerals, and antioxidants which all aid in supporting a healthy immune system. Even adding lemon juice to your water can help alkalize the pH of your body and support healthy bacteria while making it difficult for acid-loving pathogens to thrive. Improve your sleep. We all know how important sleep is to our mental health, but our body uses this time to repair and recover from daily wear and tear. A lack of sleep can lead to immune system suppression by increasing inflammation and decreasing the amount of disease fighting cells in our bodies. Ensure proper detox. If your body isn’t eliminating everyday toxins from the food you eat or the air you breathe, you’ll have a hard time fighting off a cold. Proper detox begins with a healthy digestive system and adequate hydration sets the stage for efficient elimination. If you eat non-organic meats or if you had a recent dose of antibiotics, it’s a good idea to supplement with a quality probiotic to restore gut flora. This will aid in efficient digestion and keep things moving along properly. Take advantage of strength training. Exercise has numerous benefits, but one that is often overlooked is the ability of muscle contractions to help drain the lymphatic system. The lymph system is a channel for toxins to be excreted from the body and a pathway for immune cells to travel where they are needed. Consistent muscle contractions drive the healthy flow of the lymph system. Laugh and enjoy life. Obviously laughter seems to reduce stress in our lives, but it may also boost immune function. Studies have shown that laughter boosts natural killer cells that attack anything from infectious cells to tumor cells. Laughter will boost your body’s ability to destroy toxic cells and therefore lesson your chance for disease. 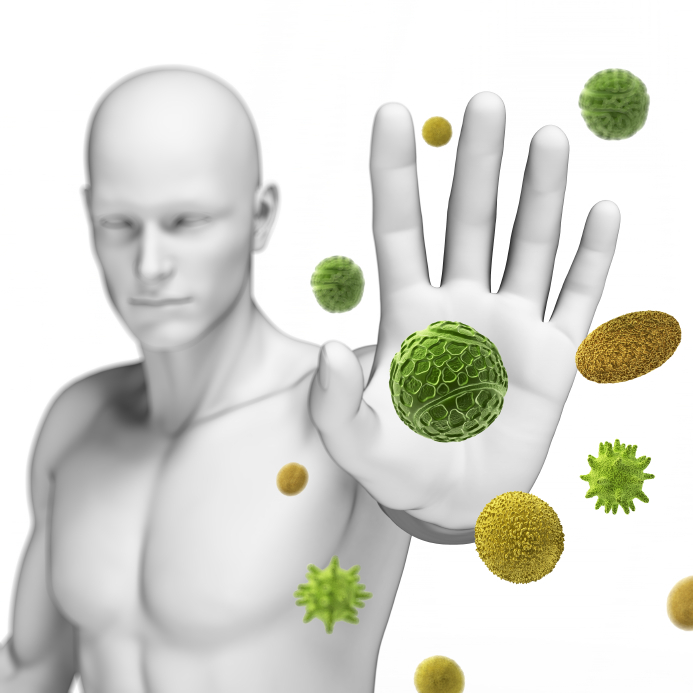 So take a few simple steps each day to give your immune system a fighting chance. How strong is your core? If you’re looking to tighten and tone your mid-section, it’s going to take more than crunches and sit-ups. Read on to learn more about the core and how to properly train it. The core musculature attaches to the spine and pelvis, including muscles of the abdominal area, mid and low back, and hips. Specifically it includes muscles such as the rectus abdominis, erector spinae, external and internal obliques, transversus abdominis, and glutes. Your core protects your spine from excessive flexion, extension, rotation, and lateral bending and works to stabilize the spine and hips during specific movements. Your core plays a major role in balanced posture and everyday mobility. If you’ve ever injured a core muscle, you’ll quickly realize how often you use these muscles – you’ll feel the injury every time you move. Since the core works constantly to keep us functioning at our best, it makes sense to keep it working properly. Is your core weak? Try the plank test to determine if you have adequate core strength. Assume a traditional pushup position. Now drop from your hands down onto your forearms and hold your body rigid. How long can you hold before your hips begin to sag or your low back starts to strain? 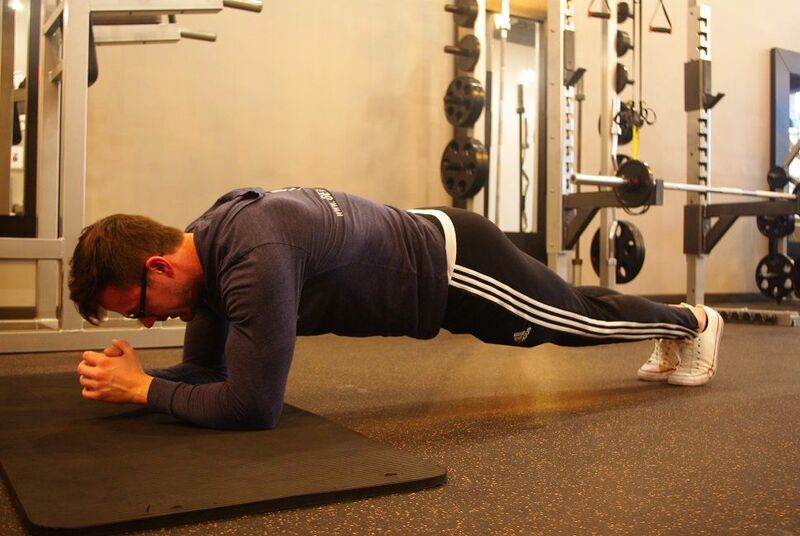 If you planked less than 60 seconds, your core could use some work. So what’s the best way to strengthen the core? We like to incorporate functional exercises, so multiple muscles are working together as a unit to stabilize or carry out a specific movement. We recommend the following exercises to build overall core strength. The Plank. This exercise is great for beginners because its simplicity allows utilization of the core without much complication. Just get in the plank position and hold. Time your sets for the first workout and try to beat that time during the next workout. You can also progress by adding a weight to your hips or raising one leg off the floor. Pushup to Dumbbell Row and Twist. This is a great intermediate core exercise because it involves both movement and stabilization. Assume a pushup position while holding a dumbbell in each hand. Perform a pushup and as your arms straighten at the top of the movement, row one of the dumbbells toward your chest, rotate, and then press the dumbbell towards the ceiling. Return to your starting point and repeat on the other side. Choose a weight that allows for 10-20 reps. Walking Overhead Lunge. 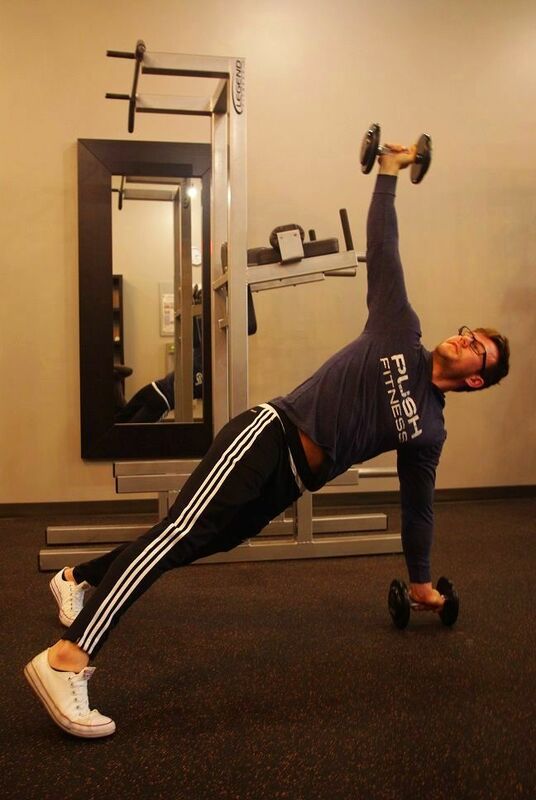 This is an advanced exercise and should only be attempted once the core is strong enough to perform efficiently. Grab a moderately weighted barbell and press it overhead. Lock your arms out and stabilize the weight in an overhead position. At this point, perform 10 walking lunges in a forward direction. Once complete, turn around and perform 10 more lunges as you return to your starting point. Be sure to keep your arms locked straight and the barbell directly above your head. This will work the core differently than the previous two exercises and requires overall body strength and stability to perform. So find a new way to strengthen your core and teach your body to perform at its best. The New Year has arrived, and for many people, it brings with it a new attitude towards diet and exercise. If you’re wondering which approach to take in 2017, don’t forget one of the most natural ways to stay healthy – eating organic. According to the USDA, organic food is produced without: antibiotics, growth hormones, conventional pesticides, petroleum-based fertilizers or sewage sludge-based fertilizers, bioengineering, or ionizing radiation. Organic food does not contain antibiotics, hormones, chemical preservatives, pesticides, or any other added harsh chemicals. The controversial genetically modified organisms (GMO) are not present in 100% organic foods either. 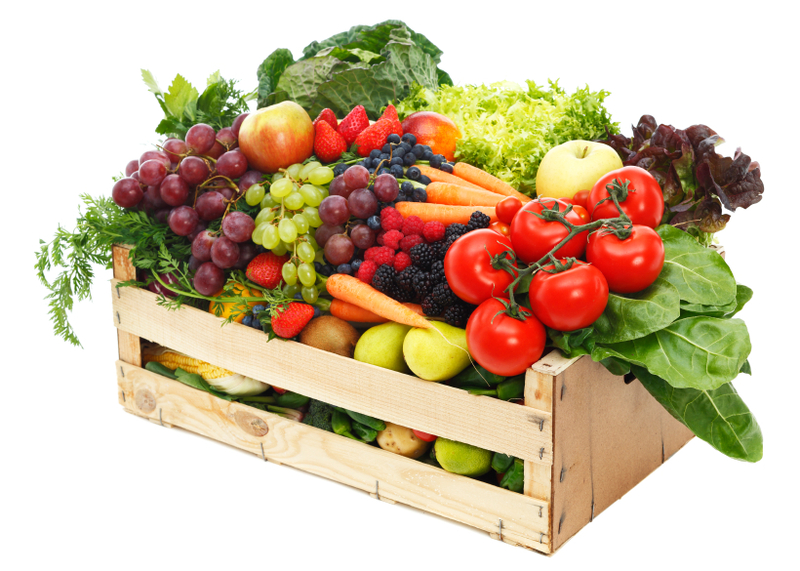 In other words, organic foods are foods in their natural state – which is the way nature intended food to be eaten. Eating organic has many health benefits. Because much of our non-organic food is mass produced, chemicals and additives are used to increase production, including pesticides and growth hormones. These substances eventually end up in our bodies, and over time can disrupt our natural metabolic processes and cause toxicity. This could lead to weight gain, food allergies, digestive problems, headaches, and lack of energy. These chemicals were never intended for human consumption. Fortunately, organic foods do not contain any of these substances, so they fuel the body without the negative side effects. means less ‘filler’ ingredients and more of what your body needs. Organics contain more nutrients with fewer calories, which will leave you more satiated and aid in weight control. Organic food production also benefits our environment. By eating organic, you are supporting natural farming methods, which minimize damage to our water, soil, and air, and to any animals involved. So the benefits of eating organic may seem obvious, but the increased cost of organic foods can sometimes scare people away. This is where it comes down to the consumer to make the most sensible choice. Next to air and water, food is one of the most important substances we consume. Is it really worth cutting corners when it comes to the quality of the food that fuels your body? Many of our clients have realized that once they evaluate how they are spending their grocery money and cut out the unnecessary items, their grocery bill really isn’t much higher with organic foods. So if you’re ready to make a positive change, give organic a try. Focusing more on the types of calories you’re eating is just as important as the number of calories. Take a look at the big picture and you’ll be on your way to a healthy year. With the holiday season approaching, it’s a great time to review the most successful habits that can help keep you on track when you’re surrounded by temptations from now through New Years. Regardless of what style of eating you consider healthy – food guide pyramid, low-carb, paleo – those who have mastered their dietary health share the following common practices. And you should too. Visit the grocery store at least once a week. Healthy eating requires you to have nutritious food available. To do so, you may find yourself at the grocery store every few days restocking meats, fruits, and vegetables. Make a list of items you need before you go to the store and stick to the list. Buy most of your food from the perimeter of the store and stay out of the middle aisles as much as possible. Use your kitchen. Do you spend more time in your kitchen or your living room? Start spending more time in the kitchen learning how to cook healthy meals. Now, there’s nothing wrong with a simple grilled chicken breast, but there are so many delicious options for healthy eating if you take the time to learn. Read a book, watch a video, take a class – whatever you do, make cooking a part of your day and you’ll be proud of your meals and have the peace of mind knowing exactly what’s in your food. Prepare meals and snacks on a daily basis. Unless you work from home, you don’t have the convenience of stepping into your kitchen when it’s time to eat. Before you leave your house in the morning, make sure you have your food prepped for the day ahead. It could be something as simple as leftovers from last night’s dinner for your lunch and a yogurt and almonds for a snack. Use your kitchen as the hub from where your meals originate. This way you won’t be tempted to grab less desirable options such as fast food or skip a meal altogether. Know your enemies. Healthy food for one person may be poison to another. Food allergies are very common and even if a food is healthy it may not agree with your body. If you have issues with gluten, dairy, or soy, those foods should not be a part of your diet, especially for the time being. This still leaves you with ample options, as long as you’re prepared ahead of time. If you notice unpleasant symptoms after eating certain foods, cut those foods out of your diet for a period of time and see if you feel better overall. If you want more definitive answers, your doctor can recommend a lab where a blood test can be performed to identify specific food allergens. Eat for the right reasons. The main reason for eating in the first place is to nourish the body. This doesn’t mean you can’t enjoy your food, but eating purely for pleasure gets a lot of people into trouble with their weight and overall health. Build your meal around the benefit it will provide for your body and then you can get creative with combinations of foods, flavor, and preparation methods. Make a habit of including all three macronutrients in your meals – protein, fat, and carbohydrates. Master these tips and you’ll be on your way to establishing healthy habits and building long-term success.